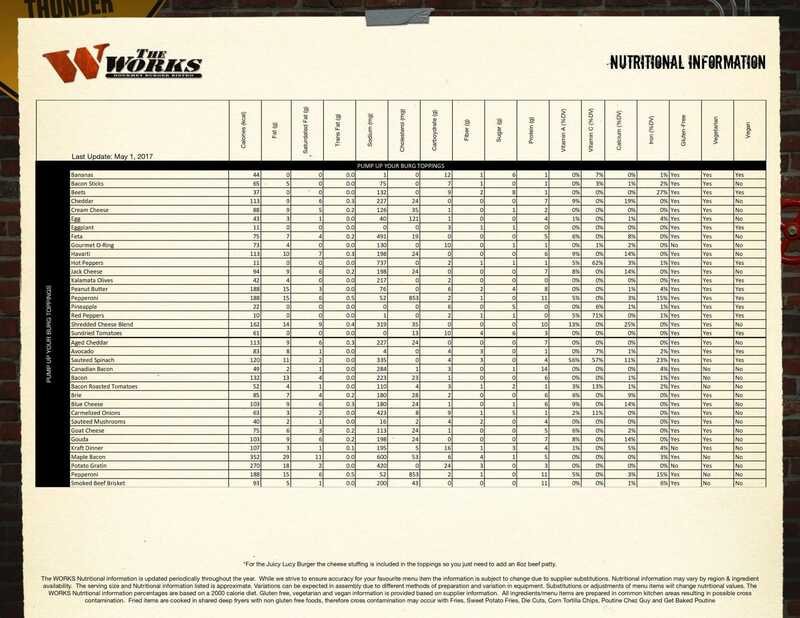 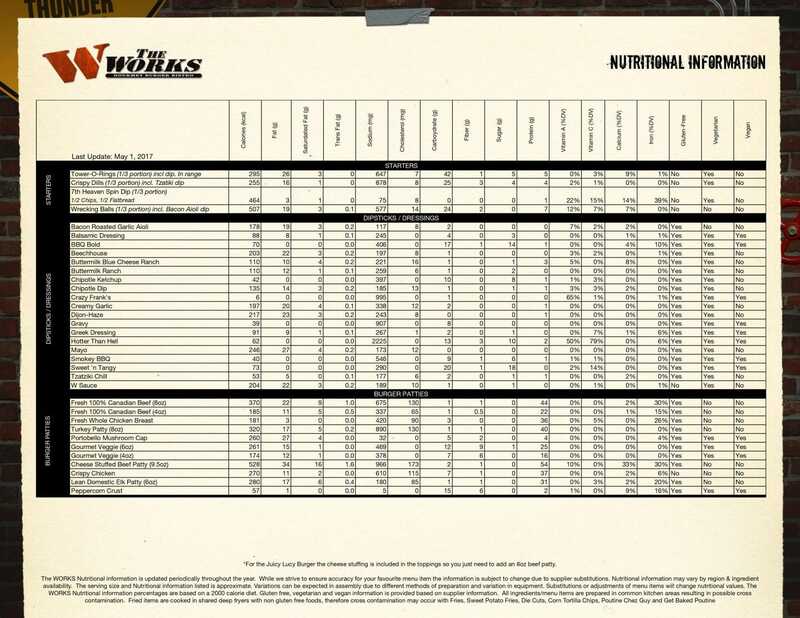 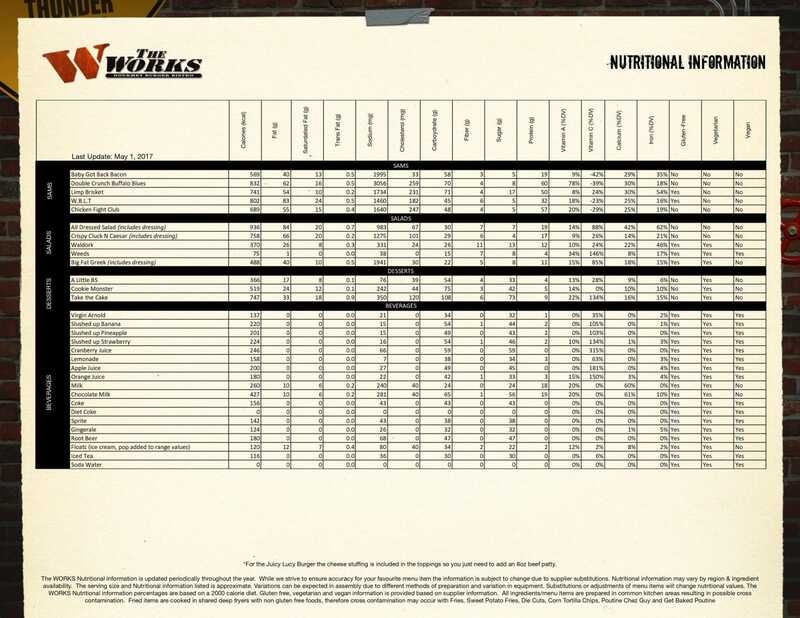 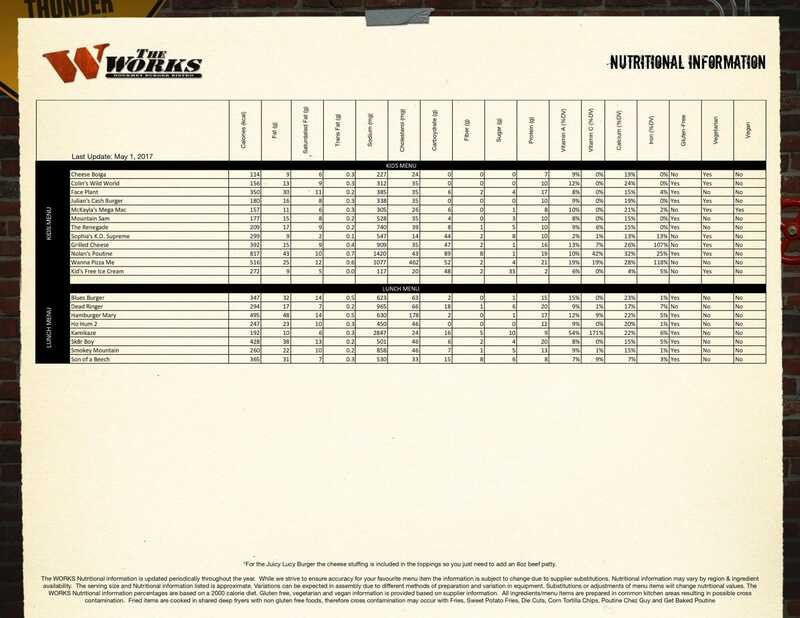 Find The Works Canada Menu for 2019, and Burger Nutrition Facts & Calories. 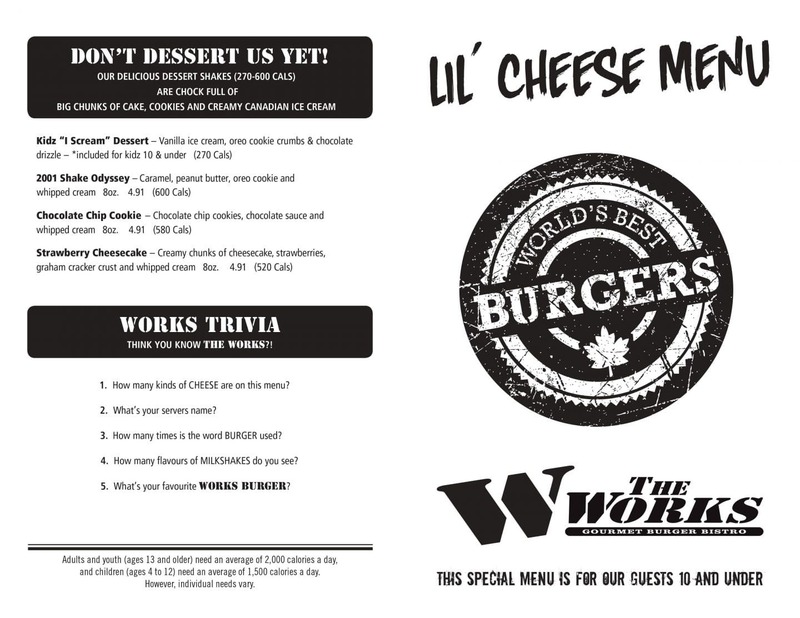 Don’t miss the The Works Restaurant specials, World’s Best Burgers promotions & offers. 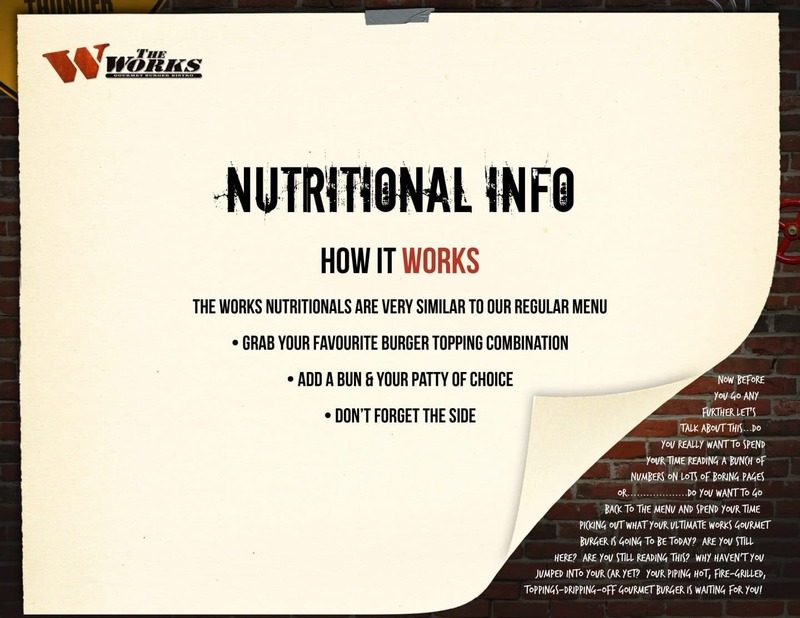 – Burger Benefits Club – join and get exclusive offers, and top secret burger buzz, and free grub. 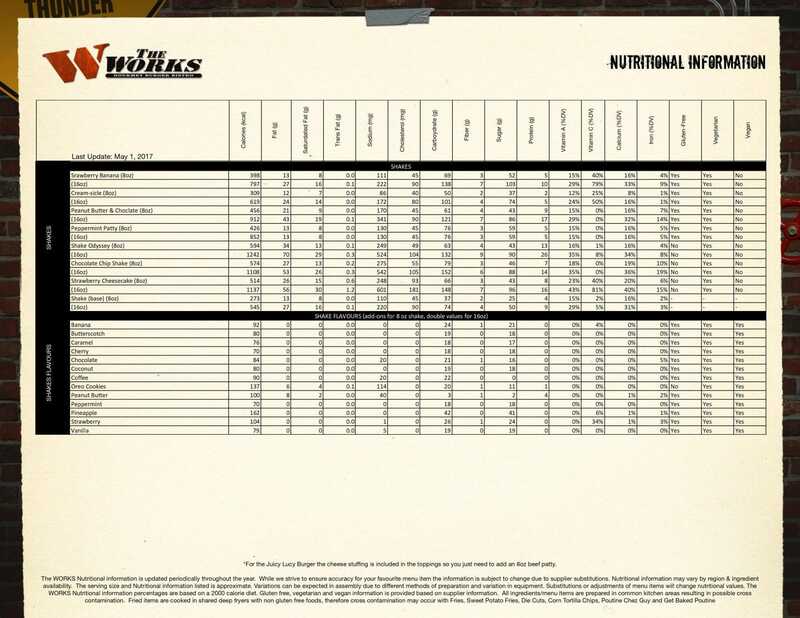 – Lunch Menu – Available from 11AM to 3PM for only $11.97. 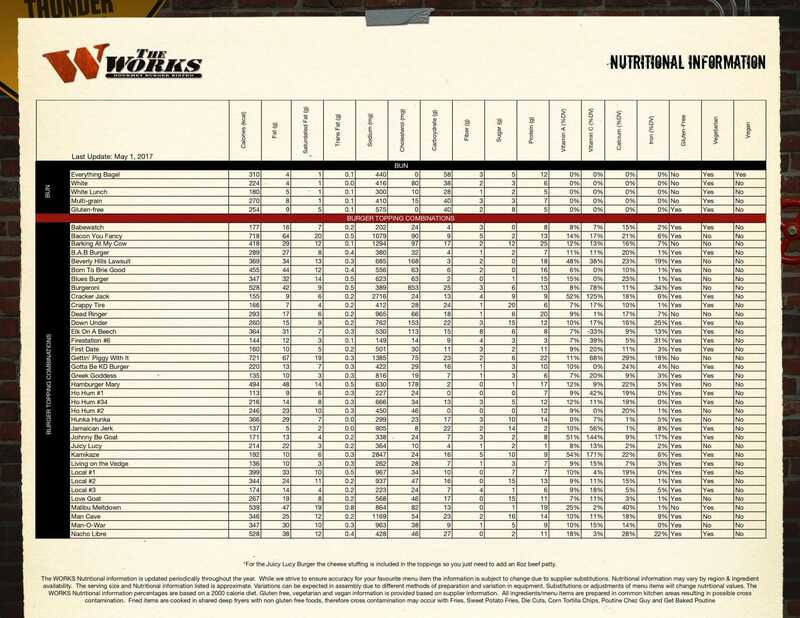 Get a 4oz. 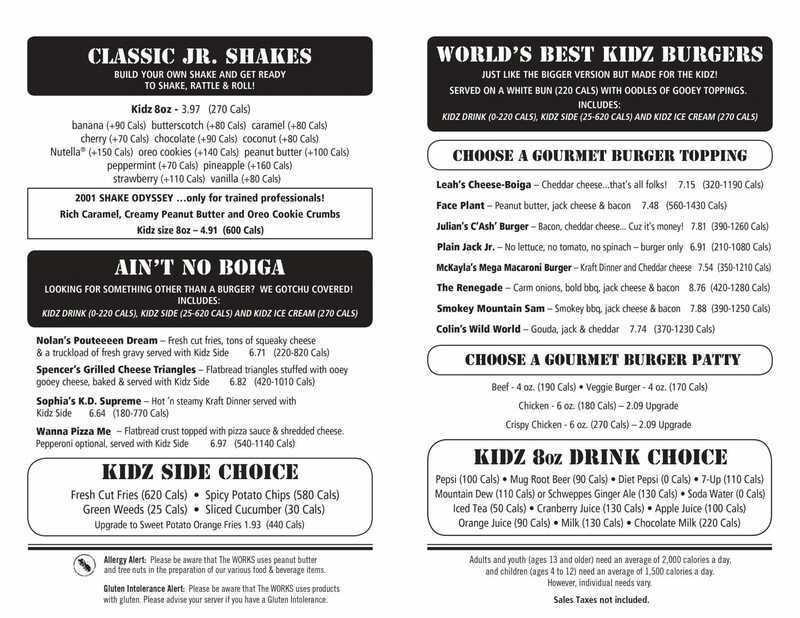 Fresh Grilled Beef or Veggie Burger with Fresh-Cut Fries & a 16oz. Pop. 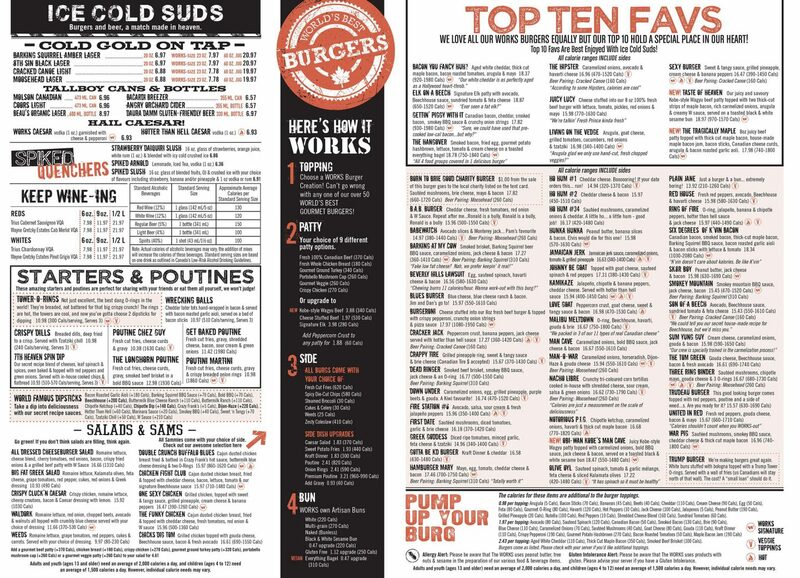 Add another 4oz patty for $3.67, and upgrade to Sweet Potato Fries for $1.76 or Poutine or Onion Rings for $2.32. 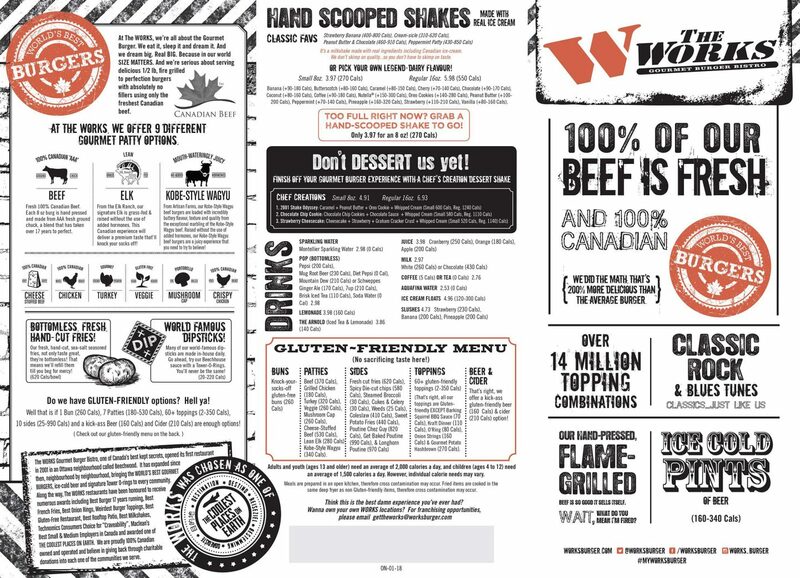 The menu includes gourmet burgers, starters, sammies, salads, poutine, shakes, kidz menu.